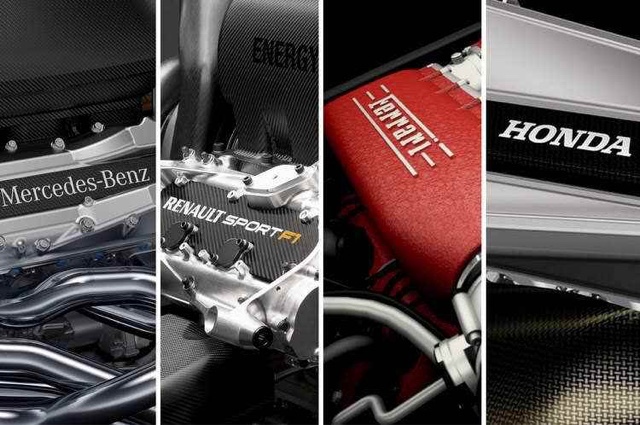 Unfettered powerunit development from 2017?.. For 2016 the parts that were locked out will be available to be changed once more, meaning any errors made in the early development phase can be remedied. The both exciting but also potentially risky development is that the manufacturers have seemingly agreed on the token system being removed from 2017 onwards. From the outset this seems like great news for Renault and Honda, as it gives them the chance to catch up to Mercedes and Ferrari. So, why the concern I hear you say. Well firstly costs are going to spiral rapidly, which could see any advantage gained by Renault and Honda rapidly dissolved. It'll be a bit of a yo-yo effect until such point that the gains become smaller and smaller for Mercedes and Ferrari, as they hold a larger funding pool than those chasing. Even though an agreement has been put in place that ensures the none 'works' teams pay a maximum of €12m per season, meaning Mercedes & Ferrari recover €36m each, whilst Renault recover €12m and Honda nothing based on their current supply deals. That's a substantial funding deficit Renault and Honda have to make up to promote their wares against the other two manufacturers.. The other issue I have with 'carte blanche' development is that it opens up even more possibilities for the 'works' teams to take advantage over the supplied teams. Yes you still have the penalty system to keep them in check to some degree but, with 5 complete powerunits to play with it opens up some delicious technical implications that might otherwise go unnoticed. Whilst the current allocation of powerunits are designed to remain largely unchanged (save the in-season token spending conducted in 2015 and will be spent in 2016). However, think laterally, circuit characteristics dictate that the manufacturers have to make compromises in order that they extract the maximum performance over the 21 race calendar. Imagine though, that the six main components (ICE, Turbo, MGUH, MGUK, ES and CE) could be designed to maximize the different track configurations be it turbo trim, component layout etc, etc. These changes could be implemented as the season unfolds and a driver simply selects the relevant specification based on the circuit rather than just a mileage plan/upgrade schedule as is currently the case. It's something we used to see in the V8 era to a much smaller extent. For example each team ran different exhausts, some teams even changing them race by race to suit the circuit demands. I'm both excited by the potential of the news that Cyril extended to us today but also filled with trepidation over how this could be exploited. One thing is for certain it'll be very messy and could cause just as much confusion as the outgoing token system. the costs may spiral, but that shouldn't be an issue if there were a fair distribution of tv revenue money! if every team gets the same as in NFL, then a team as Haas may have an advantage over Ferrari, because they will only pay 12m for the engines, and have a big chunk of money to invest in some other areas, wereas Ferrari can spend 1000m on the developement of the engine wich, sooner rather than later, will end up on the back of haas Car. So, creative thinking could be an amazing weapon for Haas (in this scenario) or for any other team. Works teams, obviously will get some advantage, but only in the short term, i think. Matia's, do you even know what a 'works team' is? Works teams will always hold the advantage over a customer team. Do some research, educate yourself, you may learn a thing or two about F1 in detail. Merc and Ferrari can potentially recover 36 millions, but, with an obligation to deliver and maintain 30 more power units (at least). Spending should be a concern if we assume it'll directly translate into performance. Often it might seem so, but, better talent can make difference. And include the possibility of fixing bad components which might otherwise not be allowed by the token system, this is a good news (esp. in the context of development freeze on engines at some point). As I always said, development freeze only makes sense if all were given a fair opportunity to develop (preferably with cost cap or perf cap, but, knowing F1 they can't get everything right). are red bull using a Renault block topped-up with illen designed heads and injector system with red bull designed ERS on their watch badged engine?